Nelson Andujar is the founder and chief instructor of Nations Aikikai. He is one of only a few within Aikido to hold the rank of 7th Dan and the only 7th Dan in Texas. 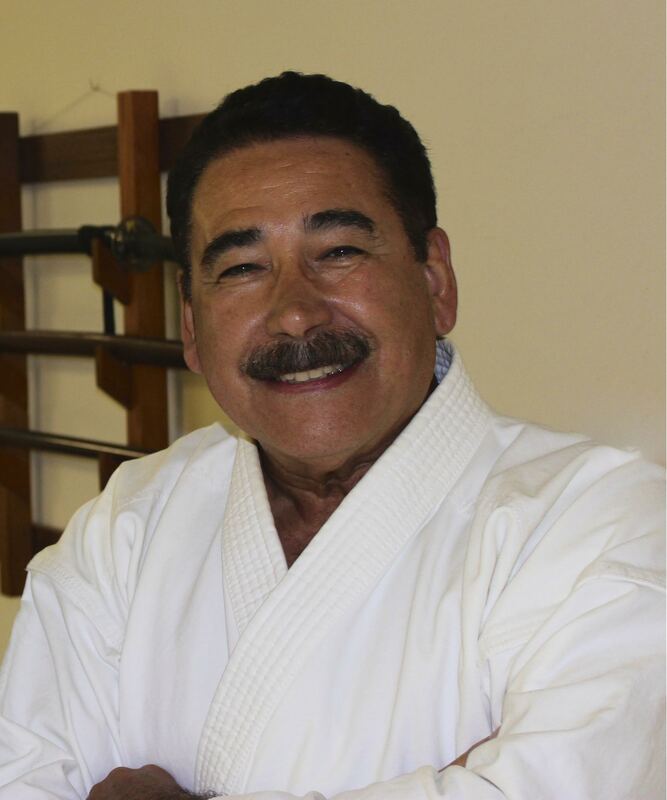 Sensei Andujar has been in martial arts for over 46 years. He started training in Martial Arts in 1965 training with Antonio Pereira for 19 years in the art of Jujitsu. Wanting to learn more about the inner power, and the focus of Ki, he entered Aikido training under the guidance of Sensei Y. Yamada, at the New York Aikikai. Sensei Yamada holds the rank of 8th Dan in Aikido. Nelson moved to Miami where he started the Miami Aikikai 33 yrs ago, which is still under his direction. Nelson believes that a good sense of timing and distance is very important as well as learning the fundamental basics. His trainings are relaxed, but stern, demanding complete attention and focus from all his students. However, during class and training his laughter (and good humor) frequently vibrates off the walls and he is famous for offering “floating ideas” in furtherance of his students understanding a particular technique he may be demonstrating or teaching. Nelson taps into the natural abilities of each student and then fine tunes them. His standards are high and he expects more from his students. He practices the art of Ki and movement instead of the power of muscle and force. If you wish to commit to learning and becoming proficient in Aikido then Nations Aikikai is the place for you, and Nelson Andujar is your Sensei. The classes are fun without being frivolous, and thoughful without being austere. Sensei Nelson has an instructing style that clearly presents the logical foundation of what he is teaching. It all makes sense. I wouldn't go anywhere else to learn Aikido.